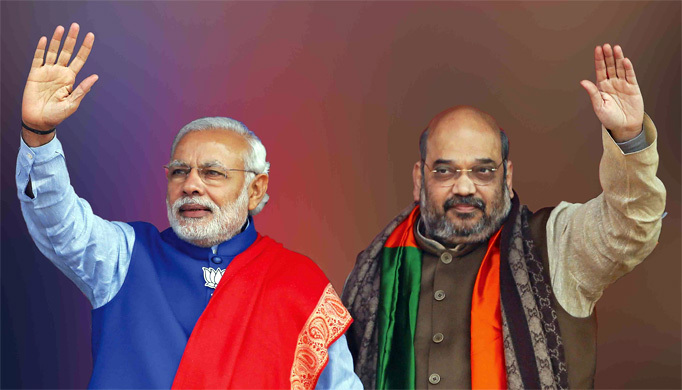 IT looks like the home state of Narendra Modi-Amit Shah will stay with the duo in the upcoming Lok Sabha elections as the Bharatiya Janata Party (BJP) has virtually surmounted all the likely challenges. 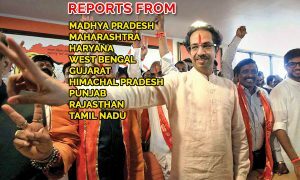 It looks like the electioneering in the Gujarat state is going to be unexciting without any suspense or thrill. So strong is their hold and control that Gujarat is all about these two men. You love them or hate them, but you cannot remain neutral. In such a scenario, it looks like that the performance of the Congress party is going to be just a political footnote. The Congress can hardly expect to spring any surprise to boost the morale of its demoralised cadre and leaders. Some of them could not resist the greed and have switched their loyalty and joined the BJP bandwagon and many more likely to be enticed as a part of ‘Operation Kamalam’. This operation is on across the state with the blessings of top BJP leaders. The ground situation in Gujarat indicates that Prime Minister’s home state might be the only one to give the party a 100 per cent result. 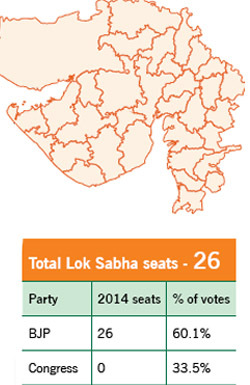 In 2014, BJP bagged all 26 Lok Sabha seats in Gujarat, like in Rajasthan where the Congress drew a blank. Of the 282 seats that the BJP got in 2014, it got 227 seats from six states—Uttar Pradesh, Rajasthan, Madhya Pradesh, Chhattisgarh, Gujarat and Maharashtra. However, this time, except in Gujarat the BJP is unlikely to retain all the seats. 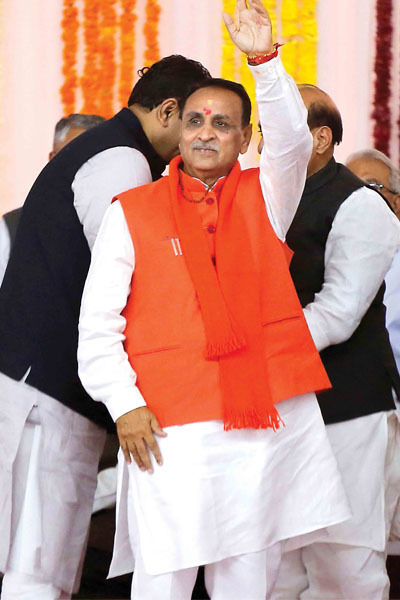 Chief Minister Vijay Rupani was always seen as BJP national president Amit Shah’s man. It was Shah who was reportedly running the government, virtually controlling the home department, postings and transfers. The fact that Shah is contesting from the high-profile Gandhinagar Lok Sabha seat—once represented by party’s veteran and founder, LK Advani, the six-term MP who has been unceremoniously dropped—signals his supremacy in Gujarat affairs. Shah, known for his micro-management skills, has already galvanised the party, pushing the opposition in a position where the Congress stands no chance. By fielding Shah from Gandhinagar, it seems the party has declared him as the Prime Minister-in-waiting. 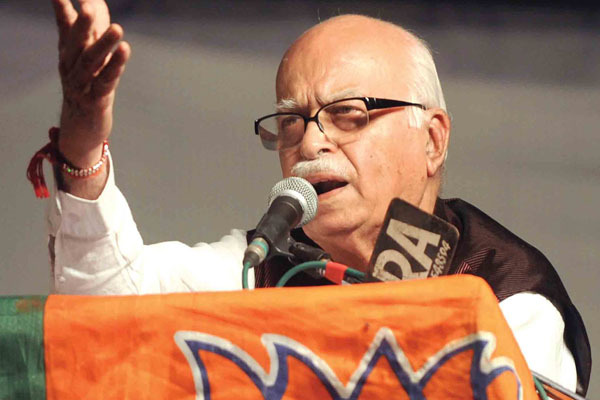 Advani, once the party’s tall leader and ‘number two’, is not likely to be missed by anyone in Gandhinagar. There is no adverse reaction, no hue and cry in Gandhinagar where Advani was always seen as an ‘imported’ candidate. He provided a link to Delhi, nothing more than that. Now it is the new era, the Modi-Shah era. The Congress party, which per-formed well in 2017 Assembly elections, is now in disarray. In all the urban Lok Sabha seats—Ahmedabad, Vadodra, Surat and Rajkot—the Congress is in a hopeless situation and stands no chance. In the last Assembly election, the BJP could not even cross 100 seats. It was party’s worst performance in three decades and the best performance of the Congress party. The Congress did relatively well because of three dynamic young leaders representing different agitating communities, which supported the party. The Patidar agitation, led by Hardik Patel, turned the tide against the BJP in rural areas. Alpesh Thakor, the OBC leader, joined the Congress ahead of Assembly election and got elected. Dalit icon, Jignesh Mevani, also got elected as an independent MLA with the support of the Congress. Now the situation on ground has drastically changed, creating more obstacles for the opposition Congress. The BJP has surmounted not only the threat posed by the Patidar agitation, it has won over the community, forcing Hardik to fall into the lap of the Congress. Alpesh Thakor has been defamed because of his outfit ThakorSena’s anti non-Gujarati rant, forcing non-Gujarati workers to flee to their home state last year. He has now gone into a silent mode after threatening and blackmailing the Congress leadership. He was all set to join the BJP but has chosen to stay as probably the BJP was not willing to concede all his demands. Jignesh too has lost his freshness and clout. Even the Congress, which had vacated a assembly seat for him in Vadgam in north Gujarat, has chosen not to rope him in election campaign. This indicates that the party does not consider him an asset any more. Moreover, the good showing of the Congress in 2017 elections was partly because it was about Chief Minister Rupani’s performance and had nothing to do with Shah or Modi. But now everything seems to have been ironed out. Contrary to popular perception, the BJP has decided to repeat maximum sitting MPs, with a few exceptions like in Surendranagar and Gandhinagar. Also, the actor-turned-politician Paresh Rawal has declared that he was not going to seek re-nomination. This is clearly an indication of growing confidence of the BJP that there is no rebel any more in the party who is to be sidelined. NOW no stalwarts are left in the Gujarat Congress or in the local BJP. It is all about Modi-Shah and the people seem to be with them. Patidar, OBC and Dalit agitations have long fizzled out. If the BJP is strong in Gujarat, it is also a reflection of the so-called Gandhian activists, thinkers and neo-Gandhians, all of whom have been reduced to irrelevance just like the Congress. Since Modi and Shah have came to the centre-stage, saffron influence is to be seen everywhere. In this election there seems to be no single major issue against Modi. Yet no one knows how those impacted by GST and demonetisation will vote. Apparently, people living in urban area seem to understand everything, yet they are united with Modi. They are not for BJP, but they love Modi. The Congress camp is unable to figure out how to deal with the Modi-Shah tsunami. Adding to the party’s woes, tribal strong man ChhotuVasava has refused to tie up with the Congress and decided to field his Bharatiya Tribal Party (BTP) candidates in major tribal-dominated seats, thereby splitting anti-BJP votes. BTP is likely to forge an alliance with the BSP. THAT is not all. 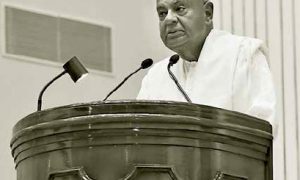 Though the Congress and the NCP have been natural allies at the national level for long, the two parties have not been able to stitch a sustainable alliance in Gujarat. A tie-up between the Congress and NCP is not working and it appears the NCP will play spoilsport for the Congress. South Gujarat: BJP’s stronghold where Congress is not even in a position to make its presence felt, especially in Valsad where the BJP has retained its MP, KC Patel. Surat and Navsari Lok Sabha seats have been with the BJP for several terms now. Bardoli is the only seat which is a B category seat for the Congress but it is unlikely to spring a surprise. Bharuch is a tough seat to wrest from BJP without an alliance with Vasava’s tribal party. 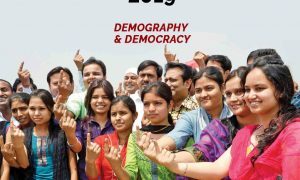 Central Gujarat: Vadodara has been a BJP stronghold, but Chhota Udepur, Dahod, Panchmahal, Anand and Kheda have been traditionally Congress bastions. The Modi wave has though washed out the influence of the Congress which once was a dominate force here, except in Anand where former state Congress president is contesting. He though is fighting against all odds as not all in the Congress support him. His alleged rivalry with Ahmed Patel is an open secret. Former Congress MLA, Ram Sinh Parmar, who is now Amul chairman, is with the BJP. North Gujarat: Seven seats of North Gujarat are difficult for the Congress. In Gandhinagar, Ahmedabad East and Ahmedabad West, Congress stands no chance. Even in Mehsana, PatanSabarkantha and Banaskantha the picture is grim as infighting has reduced the Congress to a party of warring groups. Local leaders are loyal to their caste leaders and their loyalty to the party has always been suspect. Saurashtra: The Congress in 2017 assembly elections bagged 30 seats out of 54 here. Ideally, out of eight Lok Sabha seats in the region, the Congress should win at least Surendranagar, Amreli, and Junagadh. But the party has its share of trouble, including the defection of its MLAs to the BJP. In the recent past, five Congress MLAs have joined the BJP, including many district panchayat level leaders in Junagadh, Amreli and Jamnagar. Some of the top Koli leaders also have joined the BJP and two of them have been made ministers.